Tracksounds: It’s Time to Catch Bourne! It’s Time to Catch Bourne! Our new caption contest comes from the third installment of the Bourne trilogy. 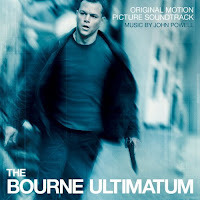 The winner will receive a copy of the original soundtrack to "THE BOURNE ULTIMATUM" by John Powell!